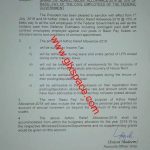 Federal Service Tribunal Islamabad has passed a judgment on 22-02-2012 regarding Inclusion of Adhoc Allowances in the Emolument Reckonable towards Calculation of Pension and the finance division Islamabad vide their letter No. 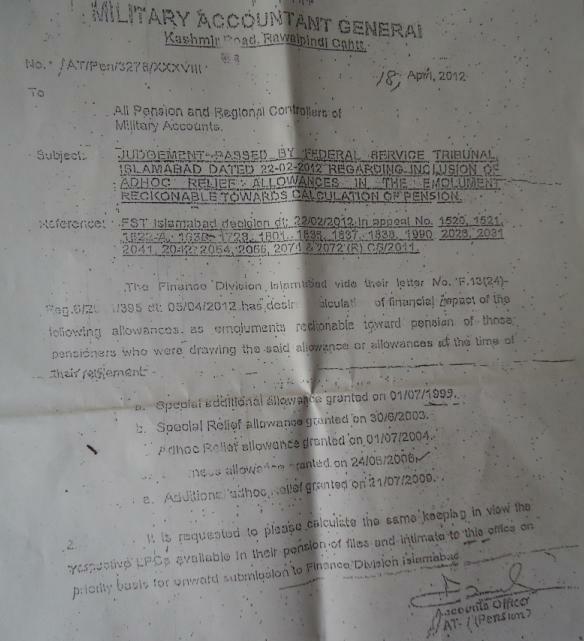 F.13 (24)- Reg.6/2011/395 dated 05-04-2012 has desired calculation of financial impact of the following allowances as emoluments reckonable towards pension of those pensioners who were drawing the said allowance or allowances at the time of their retirement. The said case is under process by the concerned authorities and hopes to settle soon in the favour of retired employees. I need a copy of Ministry of Finance No. F.13(10)Reg-G-2008-413, dated 11.5.2001 whereby under court orders Cost of Living Allowance of 1994 was declared as pensionable. Pl check your system and record and let me know. Dear Madam, I was compulsory retired as U.D.C. in the Scale No.7 from Pakistan Air Force in 1997, at that time UDC Scale was No.7. Now U.D.C. Scale has been No.11 instead of 7. I would like to ask you that this increase of U.D.C. from 7 to 11 is getting benefit present serving new U.D.Cs, in his salary. Those U.D.C. who was retired in 1997 at Scale No.7, then the Pensioner who was retired as UDC PREVIOUS SCALE NO.7 AND NOW UDC SCALE STARTING SCALE NO.11, I would like to say you that this increase Scale No.7 to 11 starting new scale of U.D.C, increasing financial benefit from Scale 7 to 11 is getting present serving UDCs, then this increasing financial benefit of Scale No.11 should be met previous retired UDCs who was retired in Scale No.7 because at that time UDC Scale was No.7. My particulars are as under. Will you please let me know the followings. 5 Statement of emoluments during the last 12 months. I will be very thankful for an early reply. May you live long. 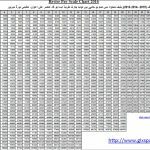 It is submitted that in the year 2010 pay and pension of all government employees were increased by 50%. However only 20% raise was made in pensions, while 30% of pension amount was withheld for reasons better known to the concerned authorities. The arrears of 30% amount, which was withheld from the total 50% increase, still remain unpaid to pensioners since 2010. Similarly, in the year 2011 an increase of 20% was given to all retired government employees in their pensions. While giving this increase, the government forgot to announce payment of arrears of 2010 to pensioners which otherwise should have been added in the increased amount of pensions. Besides this, pensions of a large number of pensioners, particularly those who retired before 2000, were meagre as compared to those who retired later. Moreover, they demanded 50 per cent increase in pensions. The increase in pensions this year should also be made applicable to the medical allowance as well. No increase in medical allowance of the retired employees was made during the year 2011, they claimed. Dear Khalid still no new updates about this case. Has this case also been stacked in cold storage? Pensioners will be deprived of this pending revision of pension as decided by the FST? What is the update regarding inclusion of adhoc relief alloances from Jul 99 to Jul 11 towards pension? Dear Sazd still no new upadates. The case regarding inclusion of 5 adhoc reliefs towards calculation of Pension was turned down by the SCP on 7.8.2013 setting aside the decision of FST of 22.2.2013 .one of appellants Mr Muhammad Iqbal submitted Review Petition (CMA 5969/2013) on 7.9.2013.The hearing was set on 16.5.2014. To the much disappointment of all the pensioners the court has dismissed the case,possibly on the pretext that a huge amount of money is involved. "Hay na ajeeb baat. "The decision as soon as is received will be posted here. Thanks dear M. Razzaq for updating the status of the case. Dear Amir Zarif I have also heard the same news a few days ago. The case regarding inclusion of adhoc increase from July 1999 to July 2011 was decided in favor or appellant on 22 /2/2012 in FST. The min of finance instituted the case against the the decision of FST on 25/5/2012 in the Supreme court of Pakistan. Govt was also in old Govt they know all financial position. Jul 99 to Jul 2011 in emolument recoknedable toward pension. Dear Miss Shumaila Kamal , what is progress on this case now and how much time is required for finalization. Their is a lot of difference in pension of those pensioners who retired before budget 2011 and after budget 2011 in same rank. A pensioner retired on 01 July,2011 is getting almost double pension than other pensioner who retired on 30 June, 2011 in same rank and same service due to this cut of date. Kindly approach to concerned authorities for early finalization of this case in favor of pensioners.Thanks. after getting financialeffect from MAG. As this case is underhigher authorities like MAG,F.S.T Islamabad and fin division so whothey are not clearing such case when Supreme court ordered to clear all beneficial cases of pensioners within 2 week. adho reliefs jul 99 to jul 11 for payment. Dear Haroon, the same case is still in Finance Div and no updates yet been received in this regard. I have heard that inclusion of adhoc relief allowances of Jul 99 to Jul 11 in emolument toward pension is in supreme court of pakistan and decision is expected in a days. Please apprise the latest position on my knowledge. Dear Riaz, still no updates regarding this case. 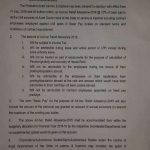 S.T Islamabad in his judgement dated 22.2.2012 allowed inclusion of adhoc relief allowances from Jul 99 to Jul 2011 in emolument recoknedable toward pension but after a lapse of so many period. Even financial effects have been communication by MAG to Fin Division. No orders are being issued for payment. All such decisions /cases similarly in past allowed for payment to pension like 100/-,300/- 7% but thises decided case is still pending. Please request to the Ministry of Finance to please issued orders or to inform on nett for issuing orders on such are being issued. 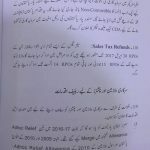 Sir, F.S.T Islamabad in his judgement dated 22.2.2012 allowed inclusion of adhoc relief allowances from Jul 99 to Jul 2011 in emolument recoknedable toward pension but after a lapse of so many period. Even financial effects have been communication by MAG to Fin Division. No orders are being issued for payment. All such decisions /cases similarly in past allowed for payment to pension like 100/-,300/- 7% but thises decided case is still pending. Assalam o Alaikum ! According to my knowledge, the case for Inclusion of Adhoc Allowances in the Emolument Reckonable Towards Calculation of Pension was to heard in Honourable supreme court on 13.03.2013. what is latest news. Dear Rafi Ullah still no updates. Dear Awais the case is still pending. Hope best in near future. Dear the case is still pending. You doing a very good job. We, the poor retired really appreciate your struggle. May God bless you will all the bounties of life. 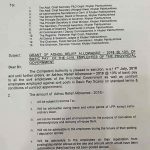 JUDGEMENT PASSED BY FEDERAL SERVICE TRIBUNAL ISLAMABAD DATED 22.-02-2012 REGARDING INCLUSION OF ADHOC RELEF ALLOWANCES IN THE EMOLUMETS RECKONABLE TOWARDS CALCULATION OF PENSION. Thanks dear for appreciating me for my little effort for the poor employees. Dear the same case is still pending and hope to settle soon in favour of pensioners. Thanks dear for appreciating my work for the employees. The same case is still pending in MAG. dear just email me ur question with full detail. Thanks Dear for appreciating mine little effort for the Govt Employees. This case is under process. It is a great news. All adhoc allowances should be reckonable towards pension. The same has already been decided by Supreme Course for adhoc allowances announced by Nawaz Sharif and compansetory allowance of 1995. This should be settled for ever so that case are not put up one by one. 1 want to know whether Adhoc allowances of 2010 ,2011and 2012 are being included in the emoluments reckonable towards pension for the govt servants who retire these days ? 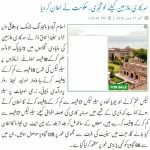 Ye aik achi effort hai, for govt. servants, I appreciate u very much. Thanks Dear for appreciating my little effort for the poor employees.